Referrals are probably the most important yet most underrated marketing tool available to businesses, organizations, and brands. Ads are good; they help businesses take their marketing message to a wider audience that might never have heard about their products/services. However, when people see ads, there’s an iota of scepticism in their minds about the validity of the information in the ads – after all, the advertiser is trying to sell something – hence, they simply ignore the ads. Some folks even go as far as installing ad blockers on their browsers to avoid seeing pesky ads that ruin their web surfing experience. The humble referral link – direct or anchored in text—however, isn’t intrusive, invasive, or annoying. When people come across a link online; they can choose to click or ignore the link. If the link looks relevant to their needs and they decide to click, they are often inclined to take specific actions such as finding more information, signing up for a trial, or making an outright purchase. In addition, when people receive links to products/services from people/brands/influencers that they trust, they are more inclined to check out the product/service because of the value of trust in recommendations. 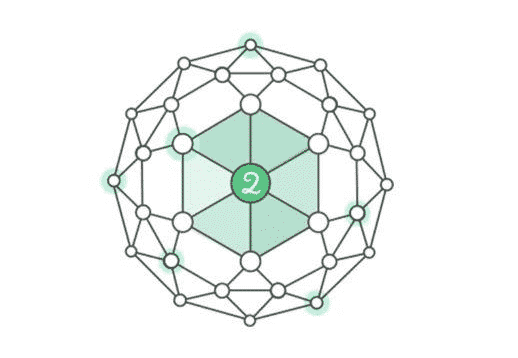 2Key is fusing together Game Theory and Machine Learning to create the world’s first general incentive model for online sharing. 2Key’s model also helps businesses, advertisers, and publishers deconstruct the sharing trail leading up to the virality of a content, product, or service. Understanding the factors at play before a piece of content could go viral is the first step towards creating content that consistently have decent odds of going viral. 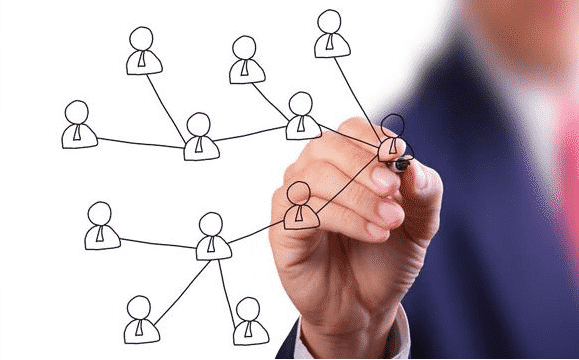 2Key believes that more economic value can be created when people actively share links about content/products/services they find useful to their network. The firm also believes that you don’t have to be an “influencer” before you start getting paid for sharing links in the marketing and advertising value chain. At the heart of 2Key’s project is a unique multi-step tracking technology designed to reward everybody that participates in the new link-sharing economy. By leveraging zero-knowledge proof methodologies and cryptographic signature algorithm embedded into the links, 2Key guarantees a continuous multi-step, multi-party, and complex event tracking data streamed and stored in real-time on the web. The multi-step tracking technology automatically embeds itself into regular links so that brands/publishers can track everybody in the value chain as the links are being shared across the web. The multi-step tracking system also automatically rewards participants along the successful referral chain by leveraging blockchain and smart contracts to deposit tokens into their wallets. The best part is that users don’t have to worry about implementing any complex code before they can use the multi-step tracking technology. The 2Key protocol is fusing together smart contracts and (regular) HTTP links. This kind of protocol allows regular links to perform auto tracking and auto conversions. This protocol is fundamentally decentralized and it bridges web2 and web3. Without the intermediary of ad networks and without the stress of fine prints and integration requirements, 2Key’s peer-to-peer platform is designed to help brands optimize the human web to increase the reach and efficacy of their marketing messaging. By utilizing smart contracts, brands can set up product marketing goals such as leads, sales, exposure and directly incentivize people to actively help them reach such goals. Why are many brands are not using referral links? Referral links are suffering from a fundamental chicken-egg problem. Brands are tired of setting up link marketing campaigns that doesn’t bring in results commensurate with the expended resources because people don’t seem particularly interested to share such links. Regular users are not properly incentivized to go out of their way to share links – they don’t get their fair share of the economic value that links generate; in most cases, they don’t even get paid for sharing links. 2Key’s link-marketing solution is designed for small business owners, freelancers, and individuals that want to advertise or get rewarded for sharing information online. Startups planning ICOs might also find 2Key’s link marketing solution very useful now that traditional advertising networks are closing their doors to cryptocurrency-related ads and promotional materials. An interesting feature of 2Key’s link sharing economy is that the game theory model encourages users to share quality links. Everyone in the value chain gets rewarded; some more and some less depend on their positioning in the final conversion. Conversely, users can also lose points when they share links that the people in their network don’t find useful. The idea is to ensure that the incentive model doesn’t encourage greedy folks to start sharing links indiscriminately in the hopes of getting reward. Users must think about how the links they want to share could potentially benefit the people in their network; hence, 2Key could eventually reduce the amount of spam and irrelevant content being shared online.